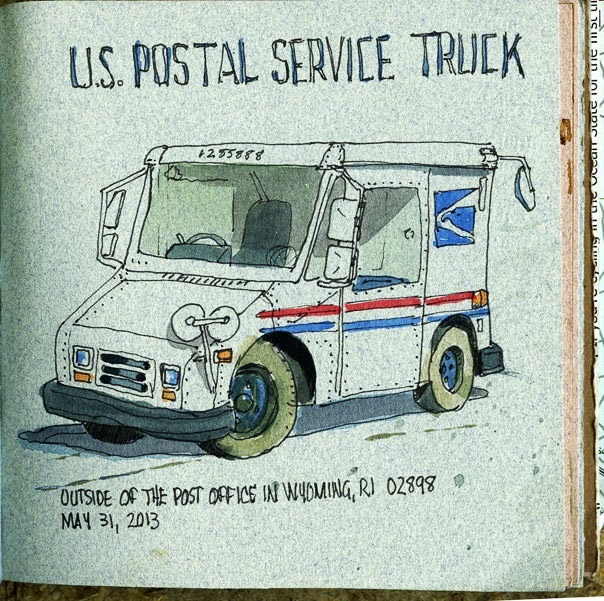 I got out a little bit early this morning before work and decided to draw this Postal truck. I was inspired by Nina Johansson's recent drawings. She has been finding some older cars to draw and this is the only thing around that I could find that had any character. It seems like all of our cars have the same styling... gonna have to go on a hunt for some older cars to draw. Last night I drew this picture of the grill for Gracie, she asked me to draw it. 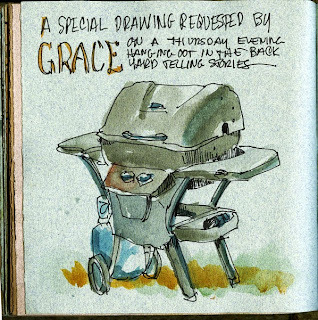 So I did the drawing and told stories at the same time.